MANDURAH could be set for a new caravan park with city councillors recommended to endorse a plan to build the accommodation at a site in Dawesville, according to a report in the Mandurah Mail, dated 8August 2014. Two sites in Mandurah were identified by the City of Mandurah as appropriate following the closure of the Peninsula Caravan Park, Yalgorup Eco Park and Lucky Caravan Park including a reserve in Melros and the more favoured Thisbe Drive, Dawesville site. 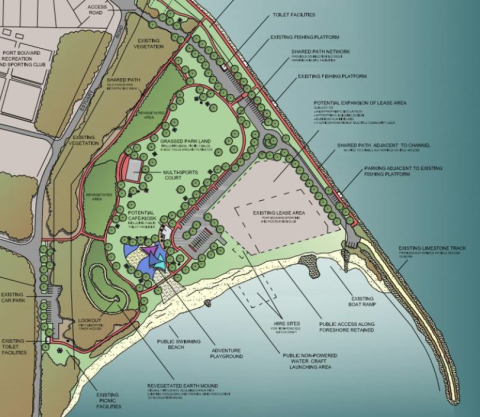 Given potential bushfire and vegetation hazards at the Melros site, the Thisbe Drive land was identified as the city’s best option, and with the backing of the Mandurah and Peel Tourism Organisation (MAPTO), appears set for a redevelopment. Councillors are recommended to endorse stage one of the caravan park plan, by signing a Memorandum of Understanding (MoU) with Tourism WA. The MoU highlights the need for tourist accommodation in Mandurah and would act as an agreement between the two as the planning progresses. At this stage, no business cases or concept plans have been made. In an August 2012 report, the Thisbe Drive site was identified as “probably the last large area of strategically located public land available on the estuary”. A Department of Planning report found the site had convenient access and would be easily accessible from Old Coast Road. “The site is therefore unique within the Peel region and as such, has considerable potential to accommodate (not necessarily exclusively) a tourist facility or tourism related use/s,” the report said. The City of Mandurah’s Tourism Strategy 2011-2016 identified a need to balance top end accommodation with quality affordable options in the region. Figures show nationally caravan park visitors spend on average $1.31billion annually. The figures also showed more than five million domestic visitors stayed overnight in Western Australia, with those staying at caravan parks 10 per cent of the total.